Red Sakura, a little shop with cute handmade accessories, sent me two items for review! It’s a basic bubble mailer. There was a small tear in the packaging, but the bubble lining kept the contents safe! Nothing inside was damaged, so I have no complaints. The two accessories were also wrapped in hot pink tissue paper! 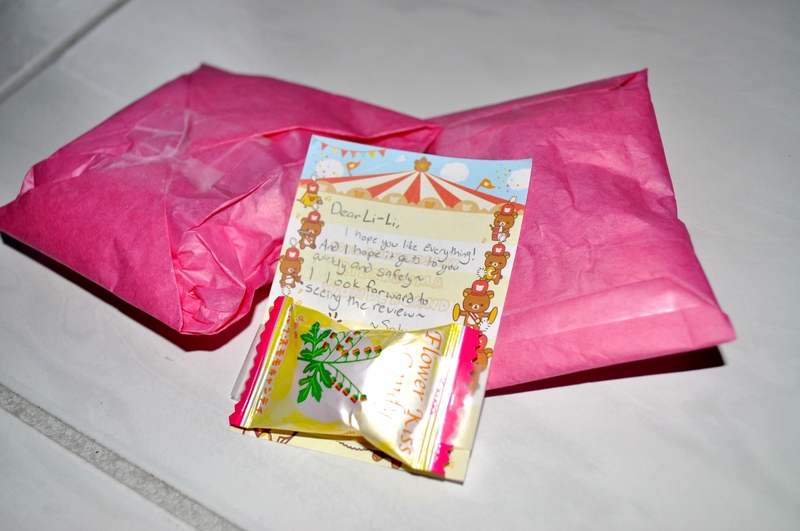 An adorable note was included, and a piece of Flower Kiss candy was taped to the note. I love Flower Kiss candy! It’s a hard candy that has a nice flavor and does not taste too sweet. I haven’t had one in a long time, so it was great to see one again. I love the cute mini bow that’s on the pink bow, and the puffy star clip features not one, but three, of these little mini bows. 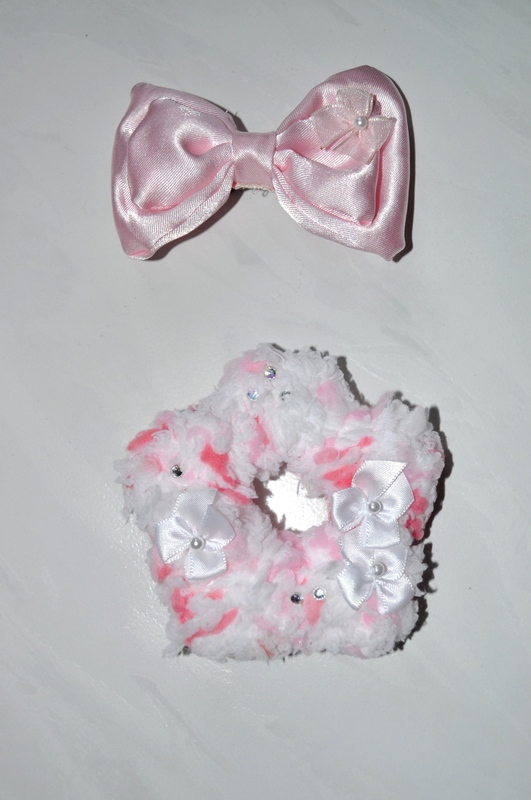 The pink bow has a French clip on the back to attach it to a wig or hair, and the puffy star clip has both a pin and a French clip on the back so you can wear it as a brooch or a hair accessory. I really love these two cute hair accessories! 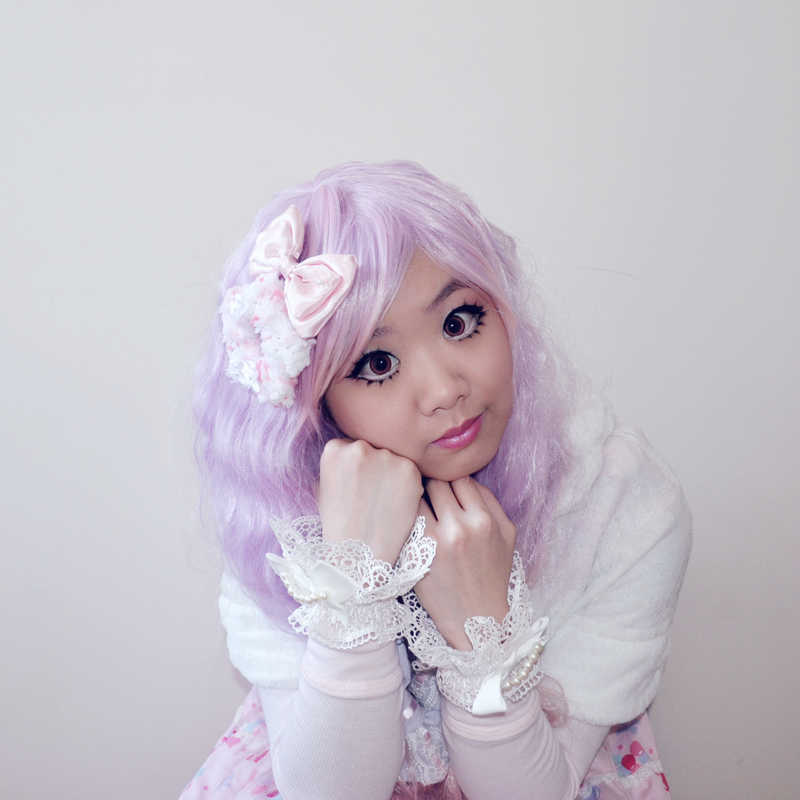 You can also see these accessories in my blog post for Princess Dreaming. 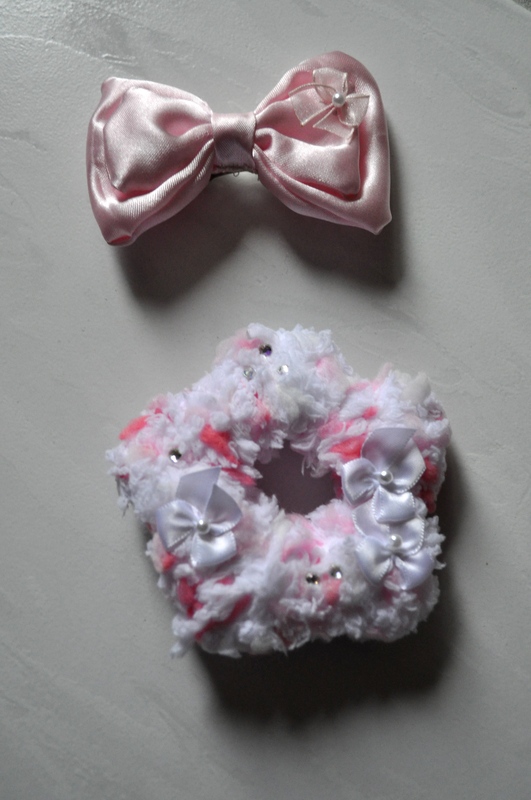 Check out Red Sakura for more puffy hair clips, hair bows, and even bloomers! ^_^ Check out her personal blog here. If you would like to contact me about sponsorships, feel free to email me at missxiaorawr@gmail.com. I enjoy writing product reviews and modeling various items.